Romania is one of the fastest growing economies in Europe, businesses are developing dynamically and there is plenty of room left for further growth. GastroPan is the greatest international exhibition of solutions and technologies for the baking, pastry, confectionery, gastronomy, chocolate, milling, pasta, ice-cream, coffee & bar, food service and hospitality industries, and being a B2B type professional event, it offers an exceptional possibility to meet operators and producers in the targeted fields, who are looking for the latest machines, ingredients, concepts and technologies, helping the growth of the industry. 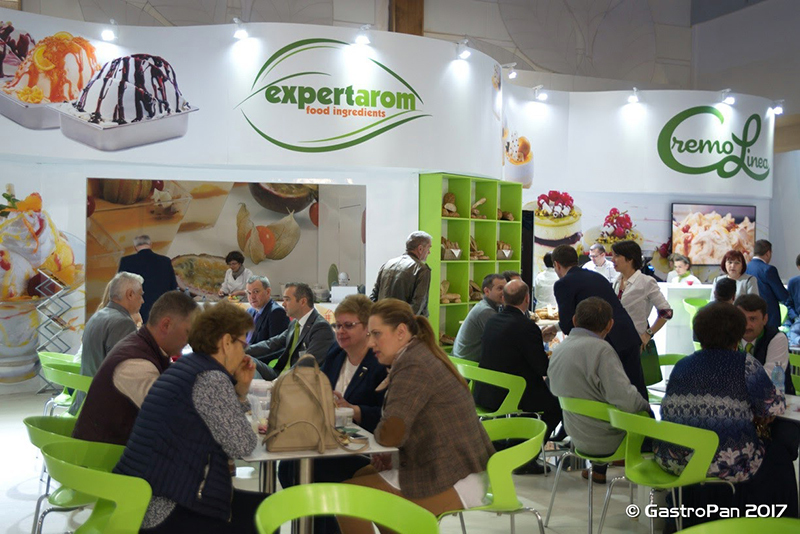 For almost 20 years, a group of professionals editing 2 specialized magazines (Brutarul-Cofetarul for the bakery, pastry, confectionery sectors and Gastromedia for the food and hospitality sectors) and organizing 1 international exhibition, GastroPan, managed to give access to the Romanian market to some of the greatest suppliers of equipment and ingredients in the world. 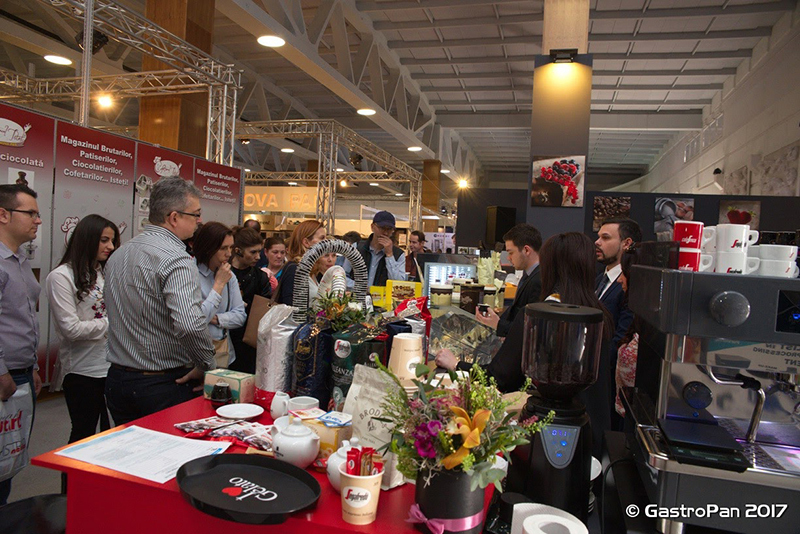 The next edition of GastroPan, the 10th, will take place between 19-22th of April 2018 in Romania, in the city of Târgu Mureș, Imperial Inn Exhibition Center. 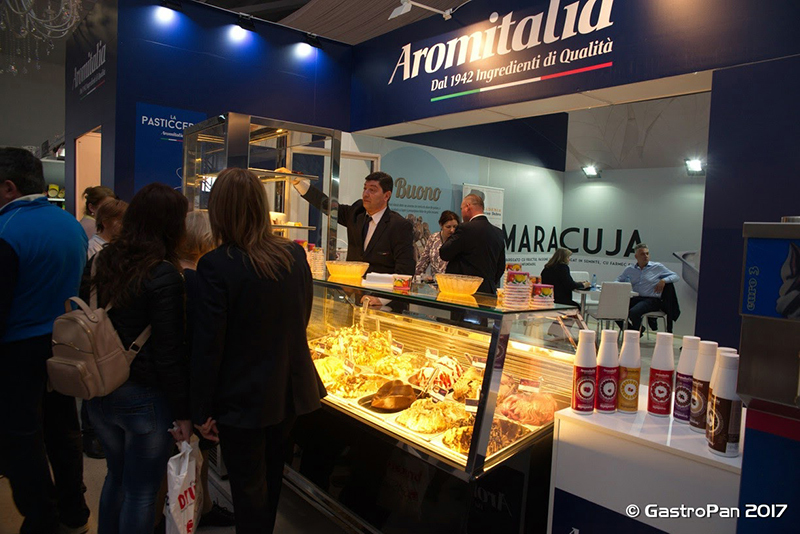 There are more than 22,000 businesses – bakeries, confectioneries, restaurants, hotels, bars and coffee shops, supplying a market of 20 million consumers in Romania, a country with the 7th largest population and the highest bread consumption rate in the EU. 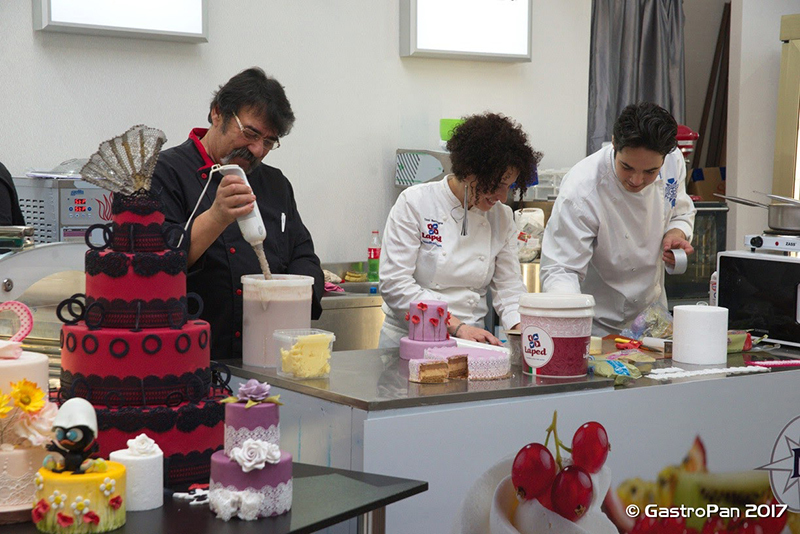 After a period of recession and reorganization, companies in the baking, confectionery and hospitality industry are recovering strongly, many of them following successful business models of the western countries. All these companies are now trying to become more competitive by investing in new technologies that allow them to provide better products and services to their customers. 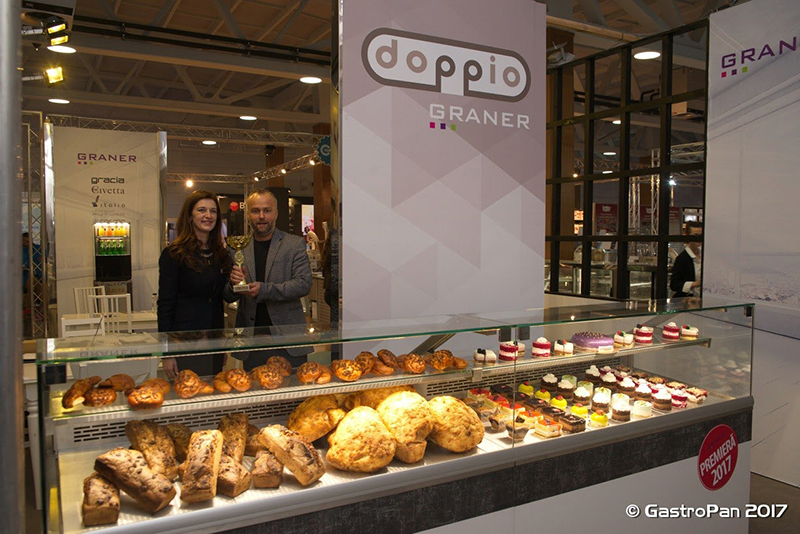 Bakeries, confectioneries and hospitality units are changing their old machines to new, efficient ones and they are developing modern shops, while they also try to make their products competitive for exports. Meanwhile, hotels and restaurants are continuously improving the quality of their services; they invest in modern design, better tools and machines and excellence in food service, trying to connect to the high European standards. GastroPan trade fair is definitely an important event that you shouldn’t miss out on if you looking to find the greatest international trend and innovations, solutions and technology for your business whether it is an artisan bakery or an industrial one, a pastry shop or a confectionery, a chocolate shop or a doughnut shop, ice-cream shop or a gelato shop, tea house or coffee shop, restaurant or bistro, hotel or inn, pizzeria or any other unit belonging to the above industries. • Bakery-pastry-milling: baking equipment and machinery; compact dough baking and processing lines and machines; all kinds of professional ovens; furniture, fittings; packaging; ingredients; IT solutions for bakeries, mills; etc. • Confectionery: furniture, machinery, equipment, utensils and accessories for pastry shops; large variety of ingredients, flavors, premixes, fillings, marzipan etc. ; freezers, blast chillers; professional packaging solutions; IT solutions for pastry shops; materials for cake decorating etc. • Ice-cream: equipment, consumable for the gelato industry; ice-cream makers; flavors, toppings, variegato and other ingredients for ice-cream making; ice making machines etc. • Hospitality: furniture and various equipment for the hospitality industry; professional refrigerators, refrigerated showcases, shock freezers; professional hoods; special tea from all around the world; innovative solutions for hotels, restaurants, fast foods, which will reduce costs; frozen products, gourmet products, etc. • Coffee: coffee making machines; special and rare coffee products; ingredients for the coffee industry etc. 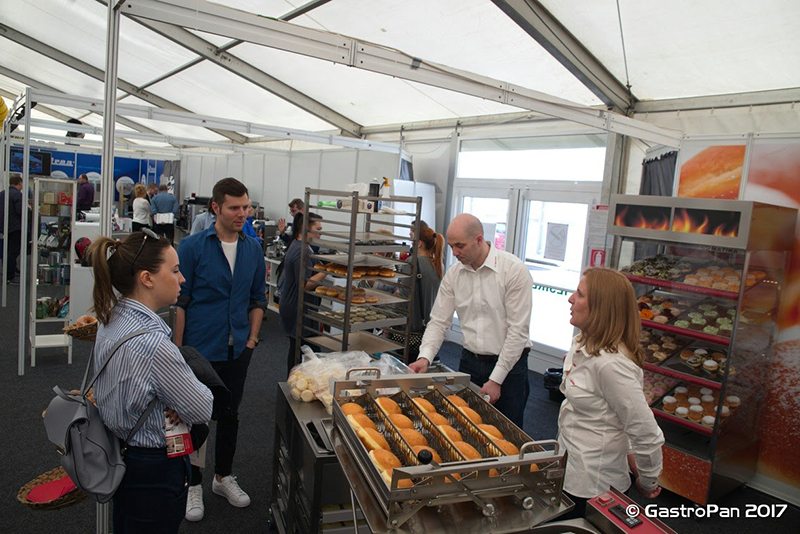 Why is it worth being a GastroPan Exhibitor? 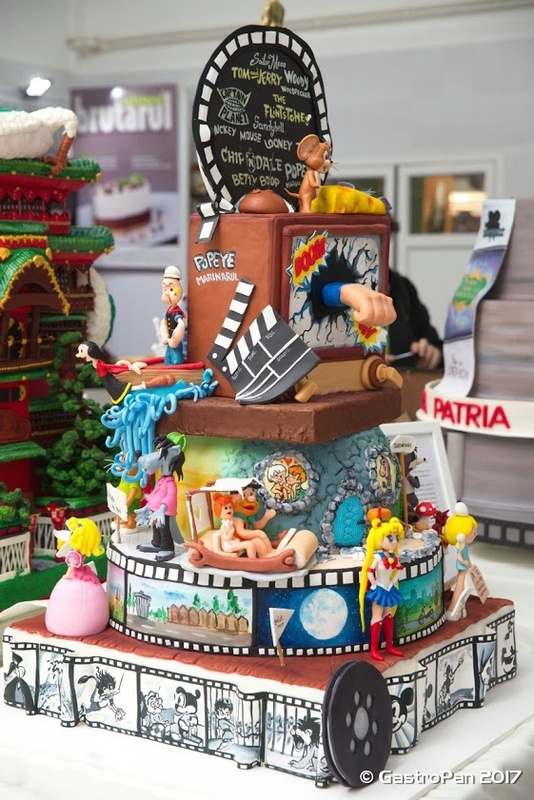 Competitions bring together the most talented bakers, confectioners and chefs who will demonstrate their mastery to a jury made up of world-class experts. 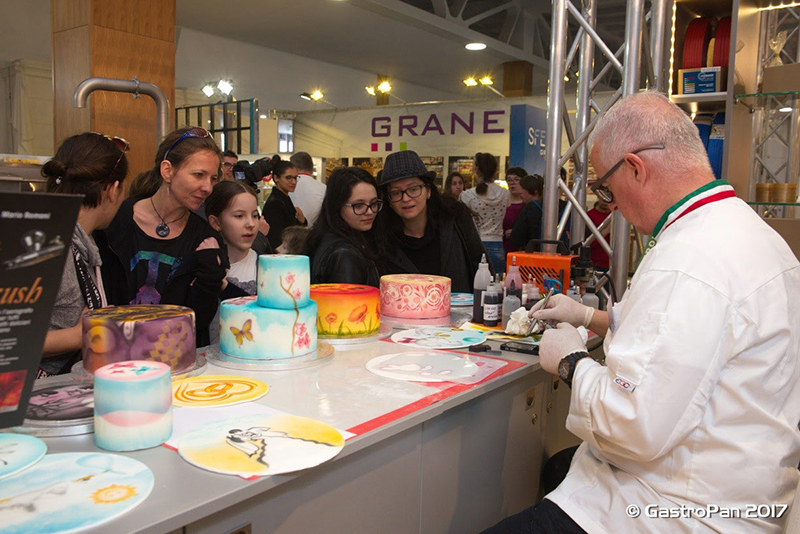 GastroPan Competitions are divided into 3 sections (BAKERY, CONFECTIONERY and GASTRONOMY). The jury will decide who wins the Cake and the Bread of the Year 2018 trophies. 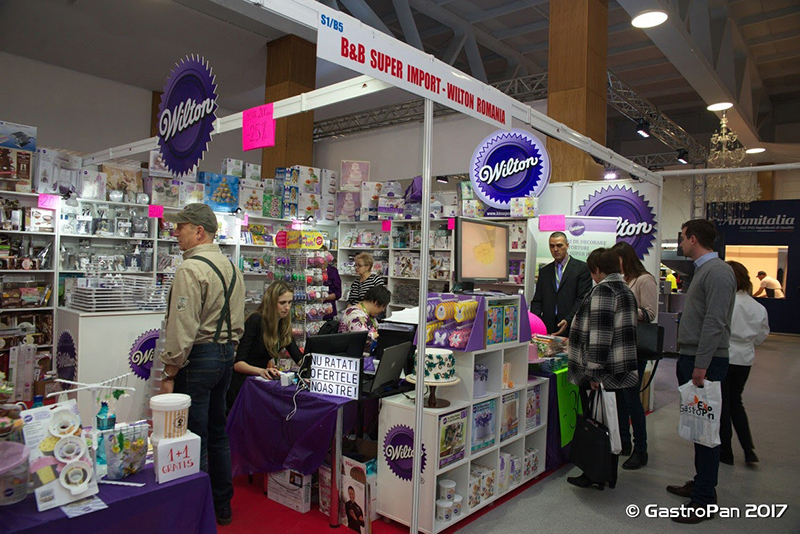 The organizers have designed the sponsorship packages available for GastroPan 2018 Competitions and companies from around the globe can access them in their quest of making their products and brands known to the Romanian experts. Potential sponsors can choose one of the four sponsorship packages: DIAMOND, GOLD, SILVER and BRONZE – and, in return, benefit from multiple advantages such as excellent promotion among contestants, jury, visitors, contact databases and many other services included in these sponsorship packages.